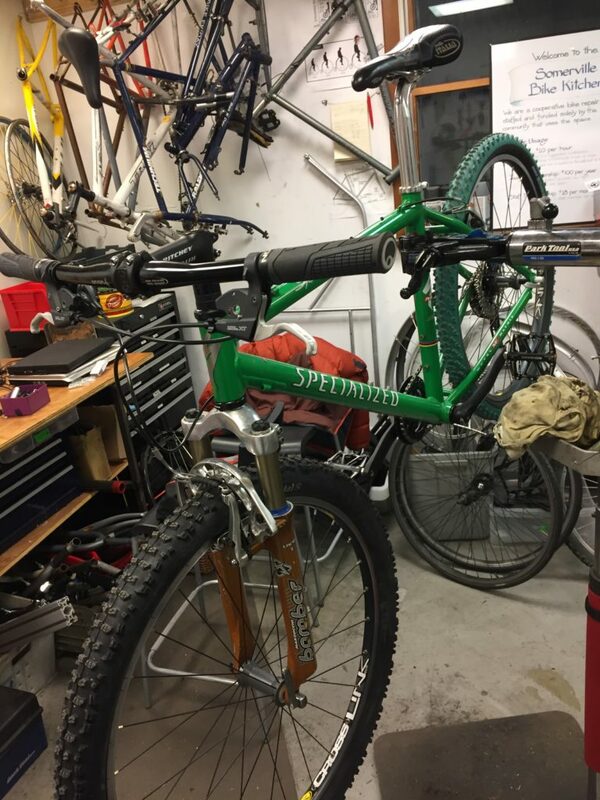 One of our staff mechanics rebuilt this 1998 Specialized Stumpjumper from a mix of used/new parts. It was built mostly from donations to SBK from community members and local bike shops. This old frame/fork has been restored to life and is now is ready to roll with a modern 1×10 MTB drivetrian. You can make what’s old new again at SBK! 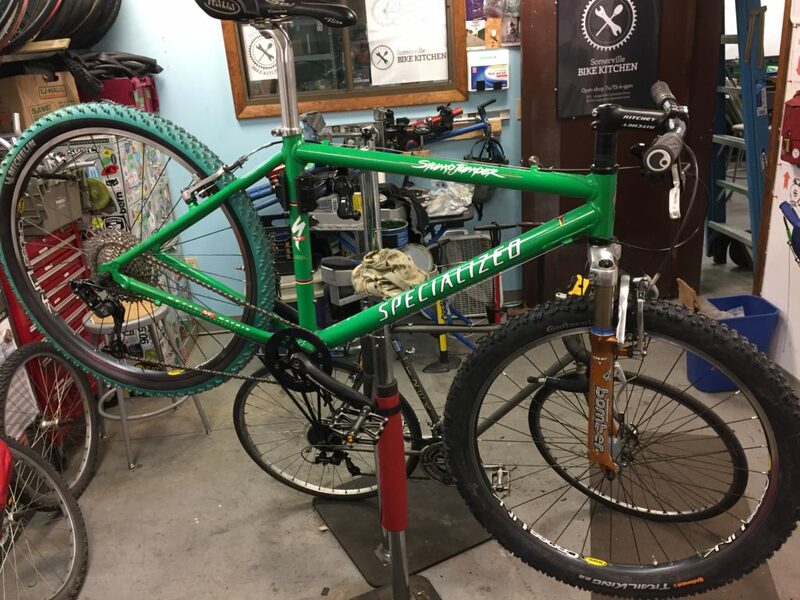 This entry was posted in Bike Builds. Bookmark the permalink.